On Saturday April 25th, WagonWheel Presents… brings a quality packed quadruple bill to Shakespeares for our usual last Saturday of the month show. This time out we have live music from The Rainy Day Club’s Tom Baxendale, House Of Charms, The Clear and Anytown. Advance tickets priced at £3 are available from http://www.wegottickets.com/event/315445 or entry on the night will be £4. Doors open 8pm. 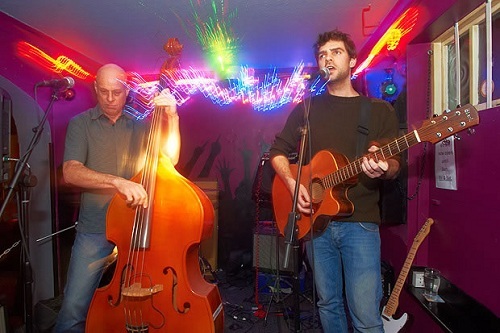 The Rainy Day Club were are a Sheffield three piece whose distinct songs combined elements of alt. country, new wave, rockabilly, pre-Beatles pop and post-Dylan americana. Their debut album, Pale White Hands – recorded by Bromheads’ Tim Hampton at his Crystal Ship studio – was released in 2013. 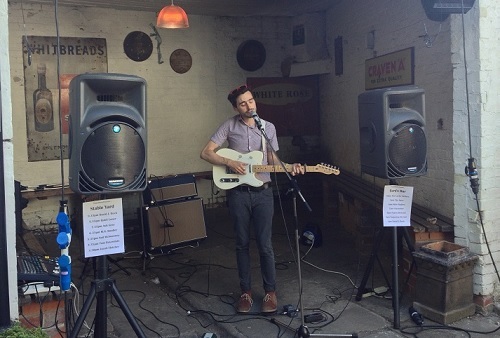 Tonight frontman Tom Baxendale plays a set of his solo material. Formed in 2013, Sheffield’s The Clear have a classic west coast sound with a modern twist harking back to a golden age of perfectly-crafted pop songs. The Clear have been carefully honing their craft, absorbing the hits from the late 60s and early 70s – and trying to figure out what made them sound so timeless. Recently signed to Rondor/Universal music, their early singles were captured in a session with acclaimed producer Colin Elliot at Yellow Arch Studios and have been heard across BBC Radio and Xfm. 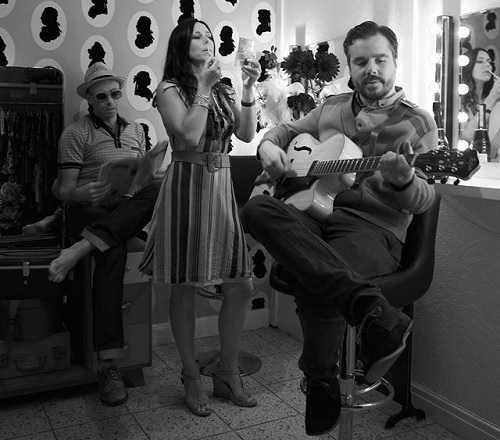 The songwriting and vocal talents of Matt Taylor and Alice Faraday have made them part of the creative driving force behind Sheffield’s premier folk-rockers, Dead Like Harry, a band who have built a big reputation in recent years for their innate showmanship and rousing tunes. As a duo, Alice and Matt explore a more acoustic based, folk sound, their from-the-heart songs winning them commissions for TV and exposure on national and local radio, as well as invitations to perform at major festivals and supports for major artists. 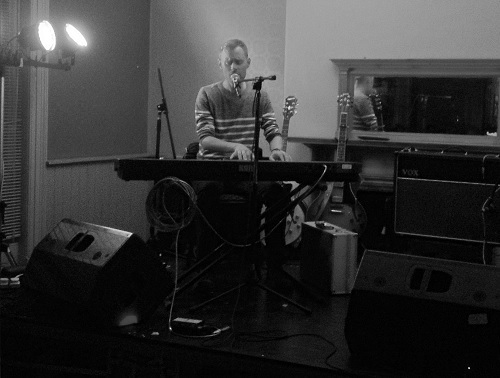 In 2013 Robin Baker, also from Dead Like Harry, joined Alice and Matthew on bass and guitar duties, however tonight sees Matthew play a solo set. Be there, radiator monkey commands you. Tonight and that, 8pm, £4, all killer.